After our 3 nights at Airlie Beach, we packed up and headed off back down the coast getting closer and closer to Brisbane and Canungra. As we packed up though, the little family of ducks that had been ever present during our stay, crossed in front of us looking for grass to eat. We had seen these ducks further up the coast as well but they had been too far away to photograph. I thought they were very cute and I loved their plumage. 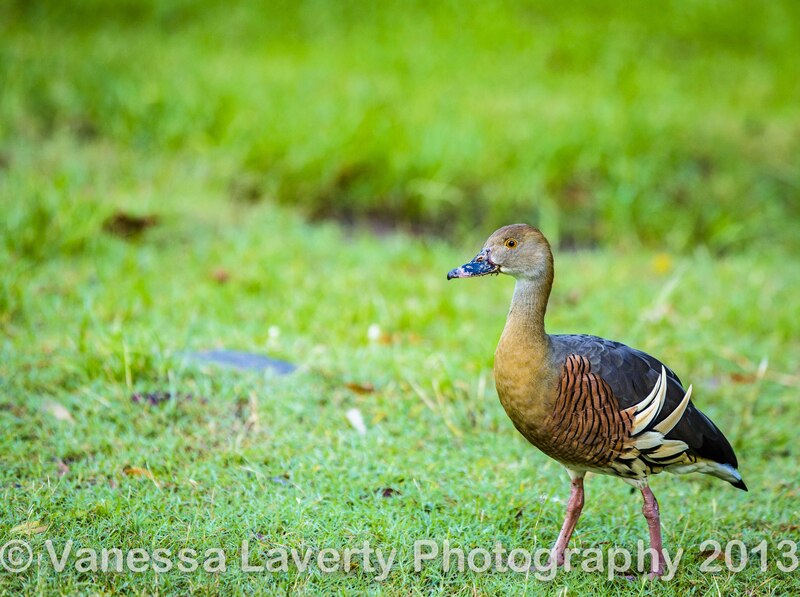 Turns out they were Plumed Whistling Ducks and they don’t dive for food in water, they crop the grass on land. We were already noticing an increase in traffic on the roads – mainly because we were now on well used highways and as well, school holidays were well under way so more and more people were criss-crossing the country with caravans and camper trailers in tow. We came across more smoke on the road from back burning being done in the bush by the roads. We were heading for a free camp we had identified at Calliope but as we got closer to the camp site, our petrol tank was running dry. After a somewhat tense 20 mins or so going through slow roadworks and round about ways to get into Calliope, we limped into the 1st service station we could find to fill up. The ute takes 54 litres of fuel – we put 58.5 litres in her – that was close! Anyway, after that little adventure, we headed back to the camp grounds at the Calliope River Rest Area which is about 7km this side of Calliope (heading south). There are about 50 sites and there is plenty of space. Being the off season, we had next to no neighbours however the March flies were ever present and the mosquitos were there in droves. There are 2 sets of toilets, but only 1 was open when were there. There are no built fireplaces but a quick check with the local authorities would be appropriate before starting a fire. The river provides some great fishing and swimming although we were told that there were a few crocs around – didn’t seem to bother many people as there were quite a few swimming. Oh, and best of all, pets are allowed under the usual conditions. Pepe enjoyed a couple of lovely long walks with us here. Though it is set fairly close to the highway, you can’t really hear any noise. The museum is behind the camp ground and perhaps breaks up the noise a little. When we were there, there was a lot of roadworks happening but even that didn’t bother us. We will definitely stay here again and marked it as a favourite in our Camps book. Next morning, we packed up (again) and headed towards Brisbane but first, we pulled into Bundaberg. 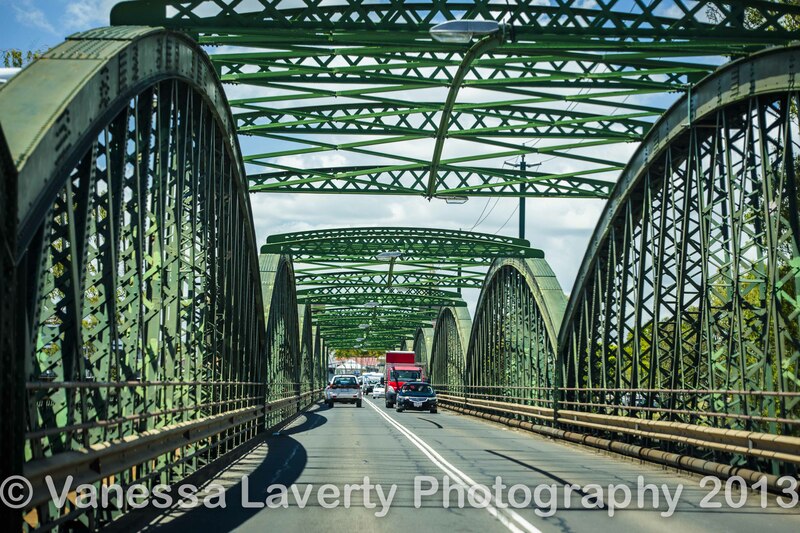 I wanted to see the famed Bundaberg Rum Distillery as I’m rather partial to a Bundy Rum and Coke 🙂 We drove through Bundaberg and I grabbed some images of the beautiful buildings whilst we were driving. We finally came to the distillery and we pulled over into the car park so I could get some photographs. Having Pepe with us meant we couldn’t go in for a tour without leaving him and we didn’t really want to go in 1 at a time. We were on a bit of a schedule, so decided to leave it til next time. We have decided we really need to base ourselves in somewhere like Agnes Waters for 10 days or so and really explore this area. 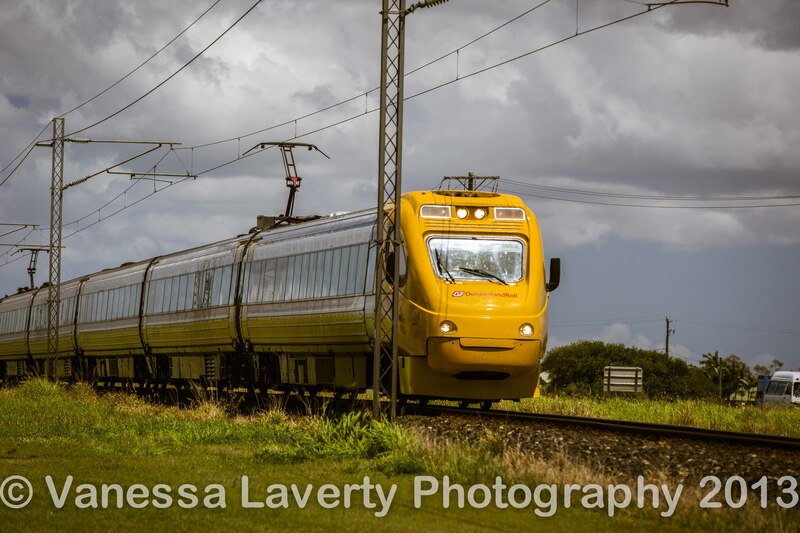 As we were leaving Bundaberg, we came across this sight which grabbed my attention. Damian pulled over and I got out of the car to take some photos – much to the amusement of the farmer watching me. He must have thought me strange and wondered what on earth I saw that would make a photograph. 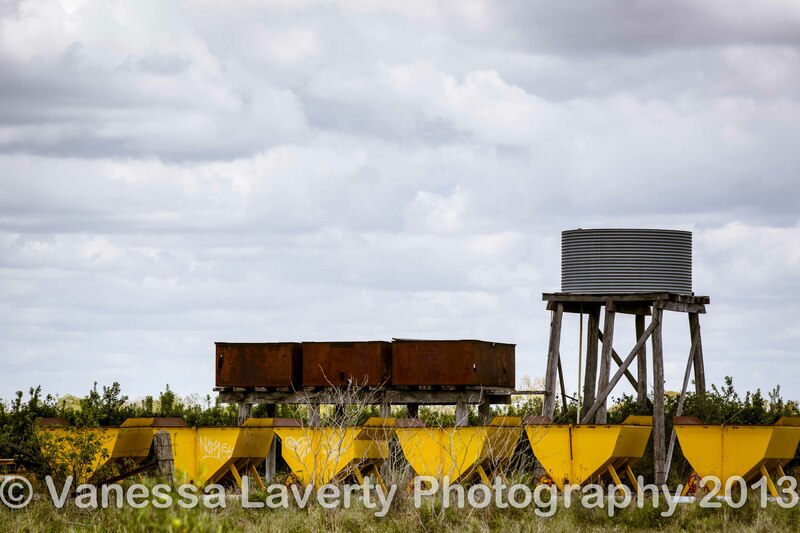 It’s the yellows and the symmetry, the rust and the tank that did it for me. We saw plenty of rail activity up this way as well. 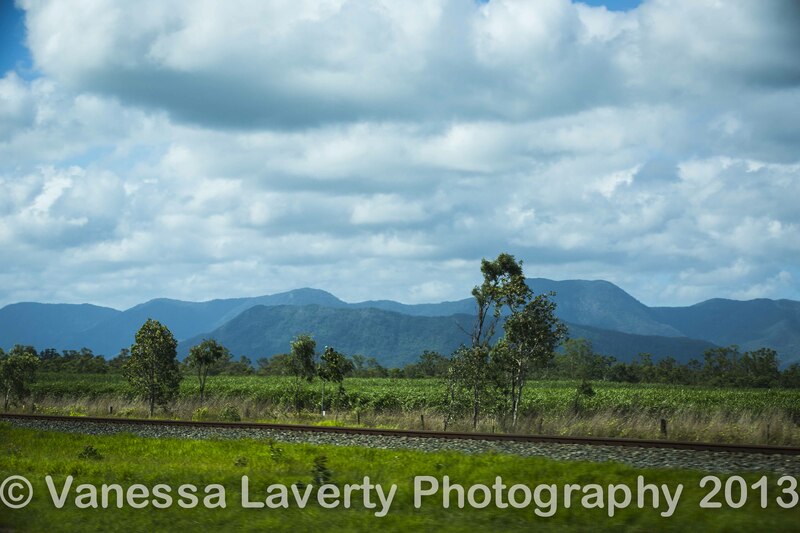 In our next post, we travel from Bundaberg back into Brisbane but first we stop in Childers. Great photography! You’re showing my home town in such a positive light, I love this blog! Do you have any special tool to do this?